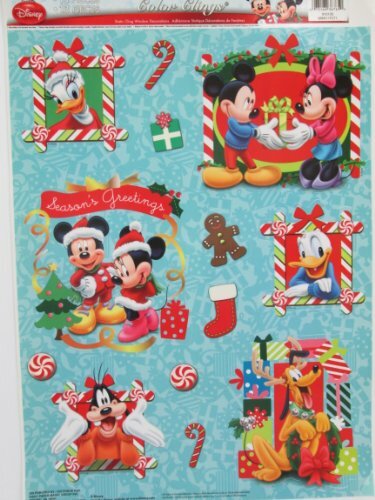 .Enjoy a stress free holiday with Christmas window cling decorations. 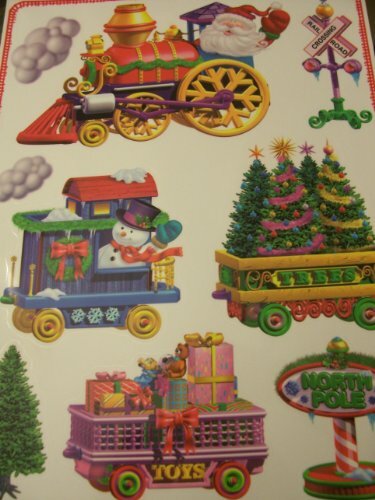 The safe and fun way to allow young children to help decorate the home for a big family Christmas. While decorating for Christmas is one of the most time honored and treasured things we do it often becomes stressful. The little ones are so anxious to help, finding something kids can do that won't be dangerous to either them or the decorations can be challenging. 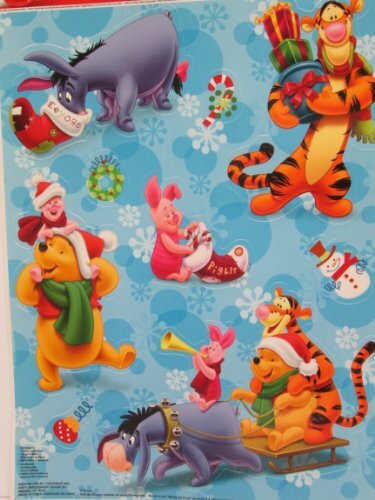 One of the best ways to include young children in Christmas decorating is with window clings. They are safe, fun and kids ca't hurt themselves or the ornaments. This is one decorating activity any kid will enjoy with no complaints just silence as they go wild decorating for the holidays on their own terms. Simply be sure to clean all the windows in your home to insure the clings stick nicely. This also helps move the clings around more easily as children so often love to do, it's a big part of the creative fun. Window clings are safe and fun for kids of all ages. 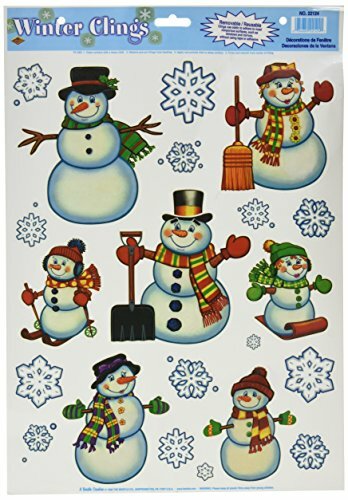 They can create many wondrous winter land adventures this winter with these fun snowmen. It's amazing the hours kids will spend moving these fun window clings around. They build good hand eye coordination and creative thinking skills while the enjoy hours of window cling fun. 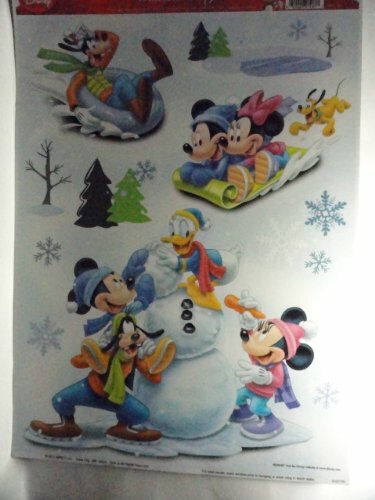 These adorable snowmen come with unique and equally fun snowflakes. The price is right and the clings can be stored away and used next holiday seaon. Christmas wouldn't be the same with all those old kids movies and classics for the family to gather round and enjoy. Keep Christmas traditions alive and well with these classics. 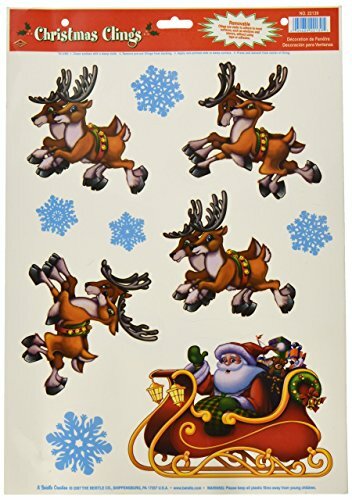 What kid doesn't want to play with window clings, none, kids love both window clings and Santa. 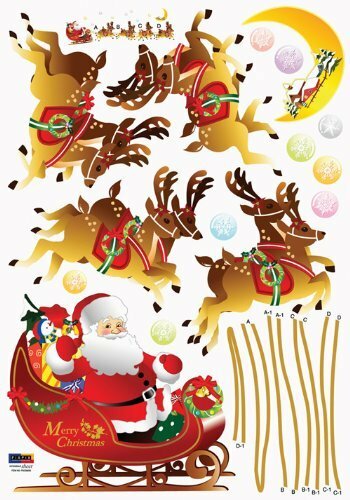 Kids will let their imaginations run wild as they plan and develop Santa's Christmas route on the family windows. This is such a fun activity for kids. 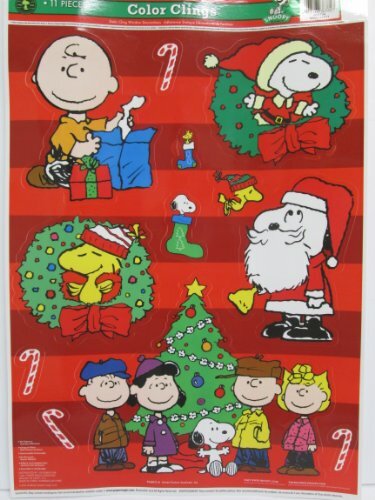 You may want to keep some of the window clings you buy under wraps, handing them out one at a time adding to the Christmas suspense. Extend the fun by offering the children a new set of window clings after they've played with the first set. Children love playing in the snow and dreaming of it as well. 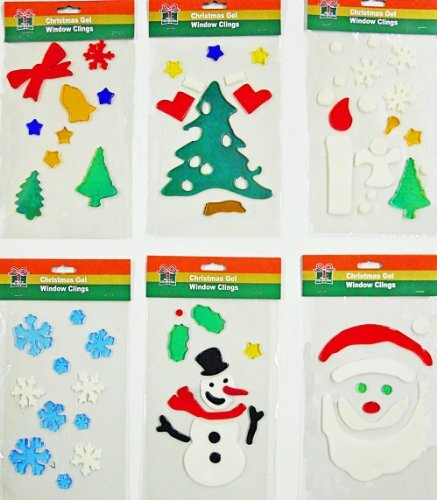 These fun and safe snowflake window clings allow your child to decorate the house with a white Christmas. Kids enjoy imagining a big snow storm, like on the Christmas specials. 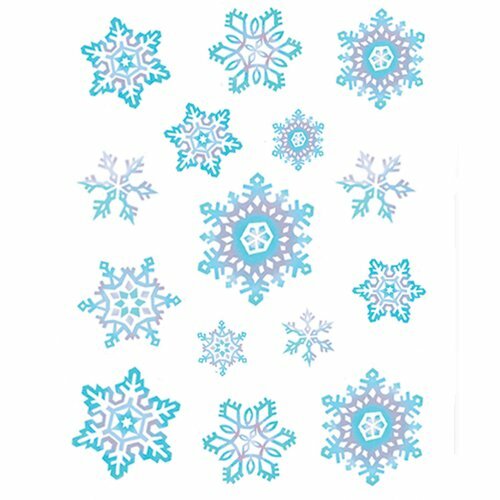 With this great assortment of snow flakes it will be snowing at your house all winter long. You kids will love making one blizzard after the other as they move the flakes around creating fun for the entire family. Be sure to get enough for their bedroom window. The best Christmas gifts come with thought, planning and most of all early shopping. Get the best gifts for the ones you love now and relax when the holidays rolls around. Just before it's time to break out the delicate Christmas tree ornaments be sure to have these fun trees ready for kids to decorate themselves. Kids love taking charge of their own tree decorating ceremony. Plus there is no danger of the getting hurt or accidentally breaking ornaments. Forget any worries about Christmas tree light hazards as kids safely decorate their own personal little special Christmas tree. 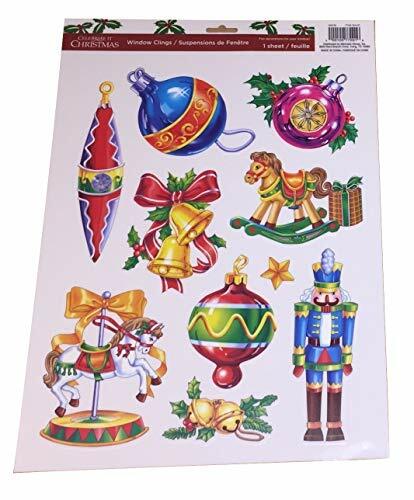 This is one item you don't want to forget about this holiday, have them on had early so you will be prepared for decorating your home this season stress free style. It's easy to reuse window clings for years. All you need to do is gently stack them a top one another and store them away in a air tight container in a cool dry place. Next Christmas when you need them again simply take them out from storage and soak in a warm soapy solution. Once the clings are wet and soapy gently peel them apart separating them in the sink of soapy water. Next take them out one at a time and rinse them in cool water laying them out on a cotton kitchen clothe to dry. This process makes them sticky again, plus they look great. 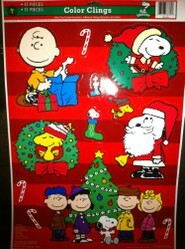 I have window clings my kids fell in love with years and years ago. Simply repeat this process from year to year and the entire family will look forward to their ole window cling friends resurfacing again.